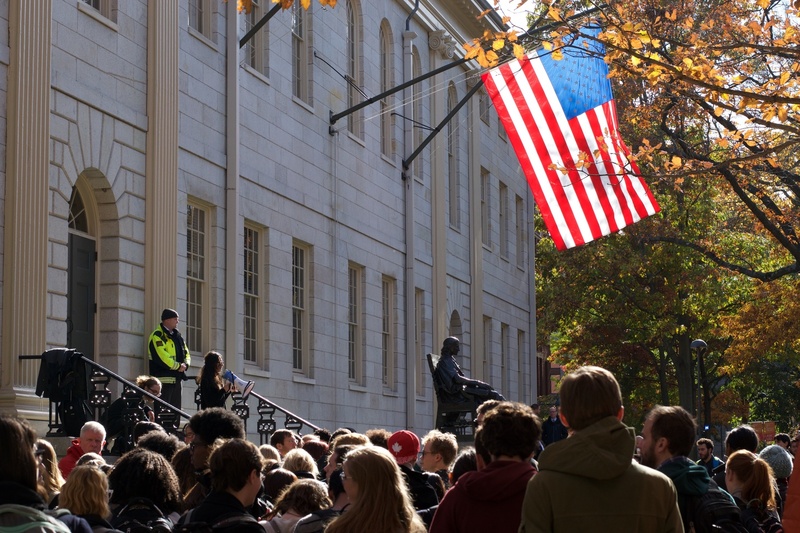 Students gather at a Nov. 2016 rally hosted by activist group Reclaim Harvard Law. Race-related activism has re-emerged at the Law School in recent weeks. Race-related activism is re-emerging at Harvard Law School after a group of Law students wore pink armbands and hung posters last month to “stand in solidarity with people of color” following incidents of racism at Stanford Law School in the fall. The events at Stanford included recruitment letters posted by a white supremacist group and the placement of anti-immigrant mail in a student’s mailbox. First-year Law student Felipe D. Hernandez, along with 11 other students who chose to remain anonymous, wrote a Feb. 2018 letter published in the Harvard Law Record arguing the Law School also struggles with racism. A photo of Law Students holding a sign spelling out “#RacismLivesHereToo” accompanied the letter. Hernandez said his co-authors, who he said were mostly first-year Law students, wished to remain anonymous in order to preserve their relationships with administrators. “People are organizing different things on campus and so they are still developing their relationships with the admin so we’re always careful about releasing anyone’s name tied to any particular event or organizing because that’s how institutions of power have traditionally used that method to identify activists and activism,” Hernandez said. While the campaign was not officially organized by any formal affinity groups, president of the Harvard Black Law Students Association Jazzmin A. Carr praised it in an emailed statement, writing her group “stands in solidarity” with its organizers. 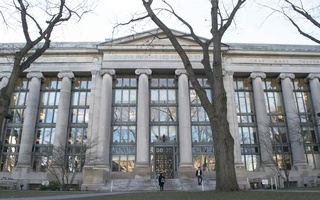 The Harvard Law Record letter specifically criticized the structure of the financial aid system, the perception that the school is not geared toward public interest, and the first-year curriculum. Law School Dean of Students Marcia L. Sells emphasized the school takes these issues seriously and is working to improve the school’s culture and offerings. “The student financial services office advisory group is looking at the Loan Income Protection Plan. LIPP is something that is always being looked at,” Sells said in an interview last week, addressing criticisms of the school’s financial aid and public interest programs. LIPP is a program designed to help Law graduates who enter into public service careers pay back their student loans. Students in the LIPP program pay back a portion of their loans based on their income and LIPP covers the remaining amount. 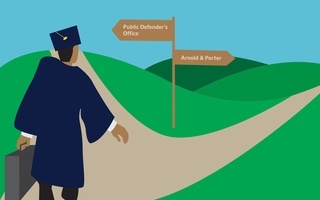 In recent years, Law School affiliates have debated the efficacy of the program and the perception that the Law School pushes students toward corporate law. Sells also mentioned the school has created 1L reading groups, discussion circles, improved faculty advising, and set aside time for open office hours with the deputy deans. 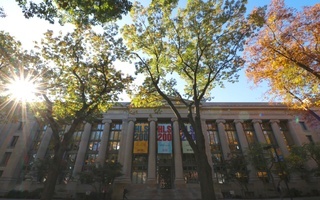 Sells suggested that the majority of the students involved in the “Racism Lives Here Too” actions are first-year students and may not have been exposed to all of the resources the Law School provides, particularly those geared towards promoting public interest. 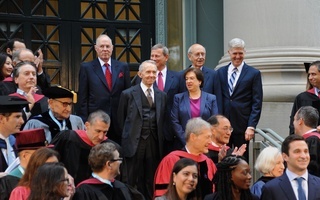 Race-related issues are not new to Harvard Law School; two years ago, the school saw a wave of activism after an incident in which black tape was placed over the portraits of black law professors. Reclaim Harvard Law—the activist movement that emerged in the wake of the incident—occupied a student lounge for weeks, calling on administrators to create a more welcoming environment for minority students and faculty. The school made took several steps in the spring of 2016 to address concerns about diversity and inclusivity on its campus, including removing the Law School’s seal, which bore the crest of a slave-owning family. The Reclaim movement died down by fall 2016, but students and administrators say they are still thinking about diversity and inclusion at the Law School. ​More than a dozen handmade stickers reading “It’s okay to be white” surfaced around Harvard Square Wednesday, prompting a Harvard Law School Dean to denounce them.